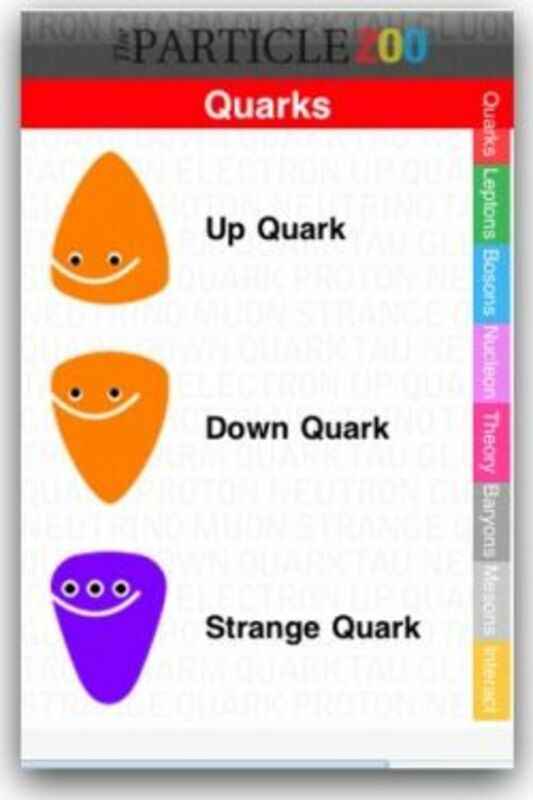 These 19 free science apps for iPad, iPhone, and Android devices provide new tools for kids and students to learn about and explore the physical world - stars, subatomic particles, animals, cells, elements - even the principles of physics. Who would have imagined even 5 years ago that one day soon, you could point your smartphone at the night sky and ask it to tell you the name of a star? And that this small device would not only tell you its name, but also what galaxy it belongs to, when it was discovered, and how far it is from Earth? Or that with a smartphone, your child in first grade, a high school senior, and the neighbors across town and around the world would all take part in a project to identify and catalog wildlife? This is where the brave new world of apps is taking us, and this list of popular free science apps is just the beginning. For your iPad, iPhone, and iPod Touch, go to the iTunes App Store. For your Kindle Fire, go to the Amazon App Store. For other Android tablets and smartphones, go to the Google Play Store. 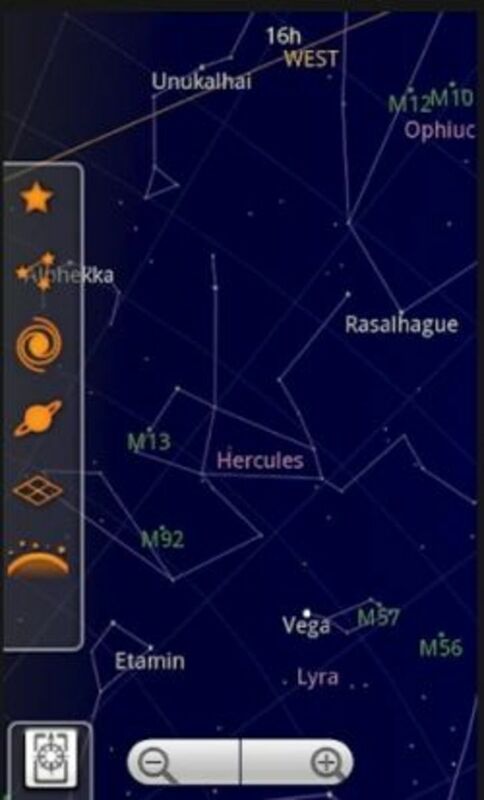 Smartphones provide unique opportunities for kids to explore their world, and no app shows this more than Sky Map. With this "window on the night sky," your child has an astronomer at his fingertips. Point your phone at the night sky filled with planets, stars, and constellations to learn their names and facts about them. The app uses your device's GPS to identify stars and planets. Want to know where a star, planet or constellation is located? Type in the name, and your smartphone will direct your child to that object. Planets, from Q Continuum, is very similar to Sky Map. The planets have more of a 3D feel. 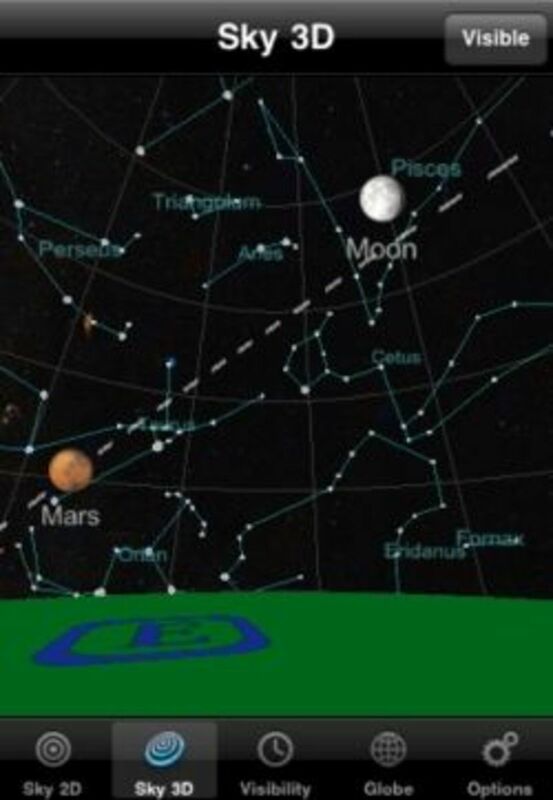 As with Sky Map, kids and adults alike are awestruck by being able to point their device toward the stars and immediately identify constellations and planets. The built-in compass helps you orient yourself quickly. Kids will enjoy the planetarium view of the sky as well to get the "big picture". Another feature shows you what times the various planets will be visible in your slice of sky. 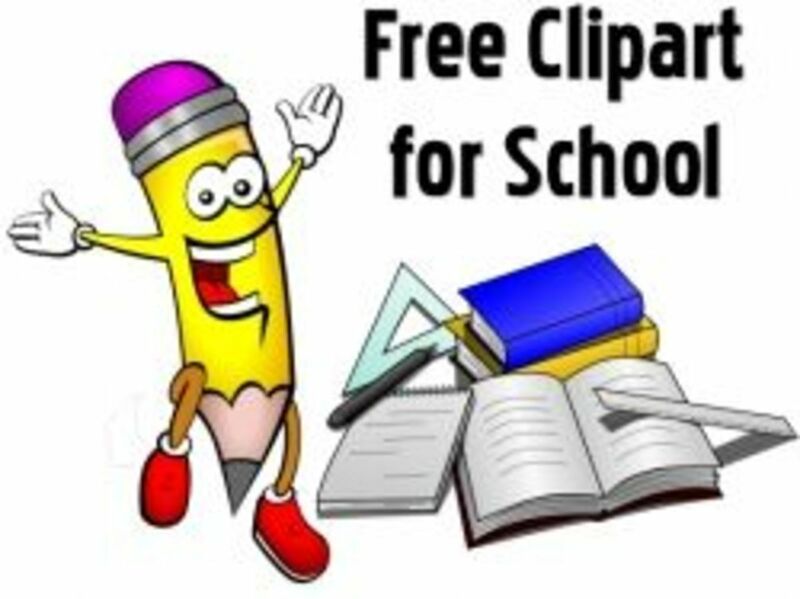 This is a great list of free apps of all kinds. And if you're an Amazon Prime customer, you can borrow it for free. Even better! Learn all about Earth's fauna. Record and identify your animal and dinosaur artifact observations. 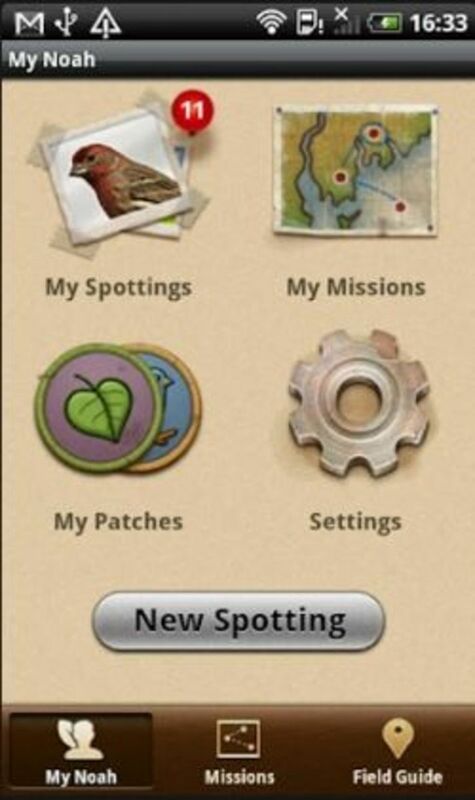 Project Noah (My Noah) app for Android devices and Project Noah (My Noah) app for iPhone, iPad put you child or student out in nature to share in a global cataloging of the world's wildlife. First, register at the Project Noah website. Then your kids sign up for missions to find wildlife in your local natural habitats. When you child has a spotting, she takes a picture, includes the name of the animal or insect and posts it to project Noah. Using the app, kids manage all their spottings, see what missions they're participating in and keep track of their patches - prizes for participating in the project. Then they can go back to the Project Noah website to see the "big picture" of wildlife spotted around the world. 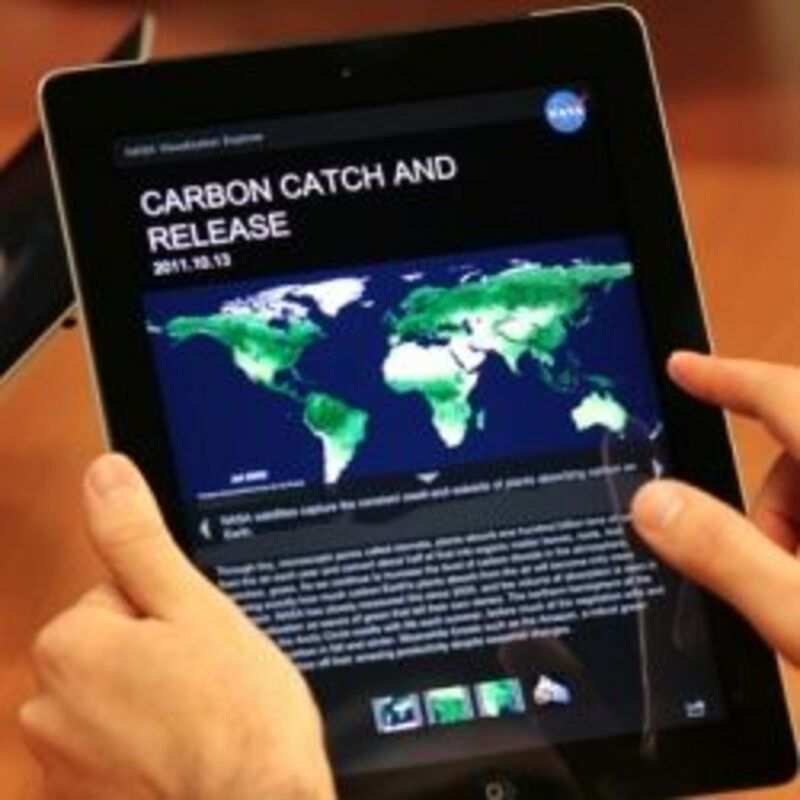 Like the astronomy apps, this is a great use of mobile technology for kids learning science. Project Noah is a valuable resource for teachers and homeschooling parents looking to create student field projects. 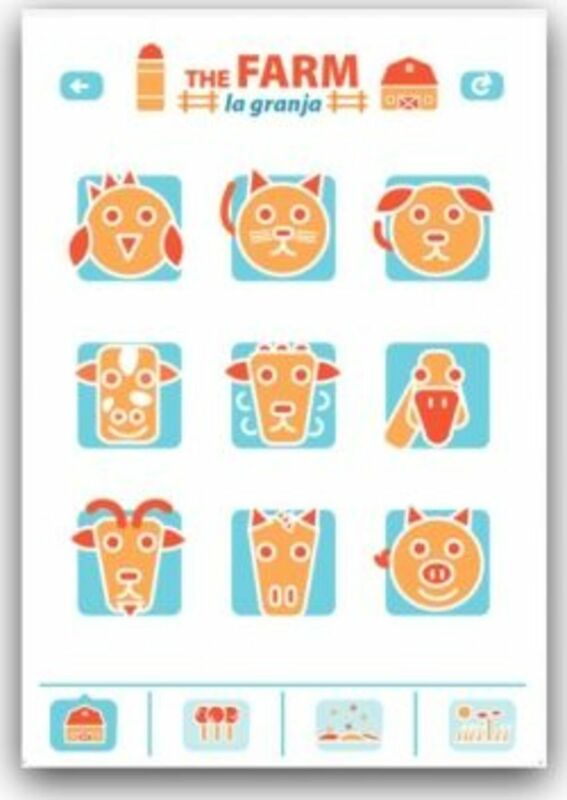 Kids ages 3-7 will love the Animal Hive app. The engaging game helps them learn animal names in English and Spanish, along with the sounds they make. Animals are shown in four habitats - farm, forest, Arctic, and Savanna. It's hard to find a young boy who doesn't love dinasours. The Dinosaurs app gives them and the rest of us dino fanatics the opportunity to peek into the dinosaur collection at the American Museum of Natural History. This app has a mosaic of more than 1000 images from the Museum's archive, woven together in the image of a Tyrannosaurus rex. 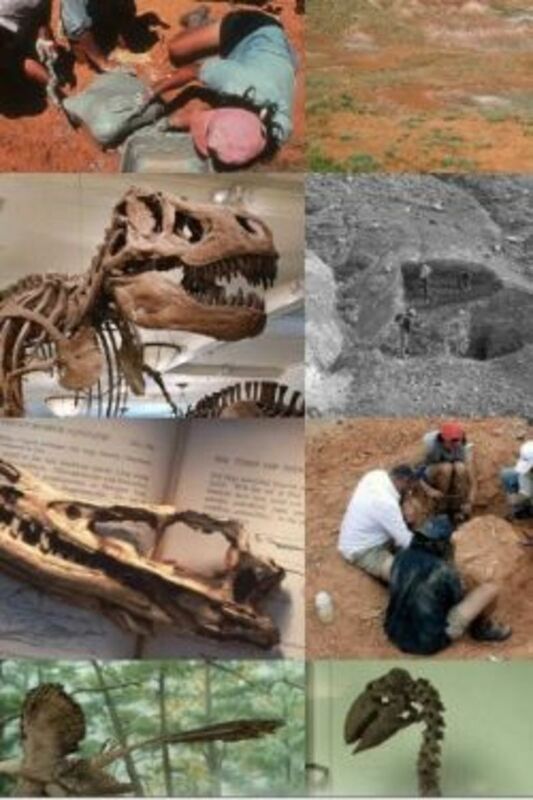 Click on a photograph to learn where the fossil was found and the paleontologist who uncovered it. Your kids can share their favorite photos with friends on this virtual dinosaur dig. Learn about cells, human, and plant biology. 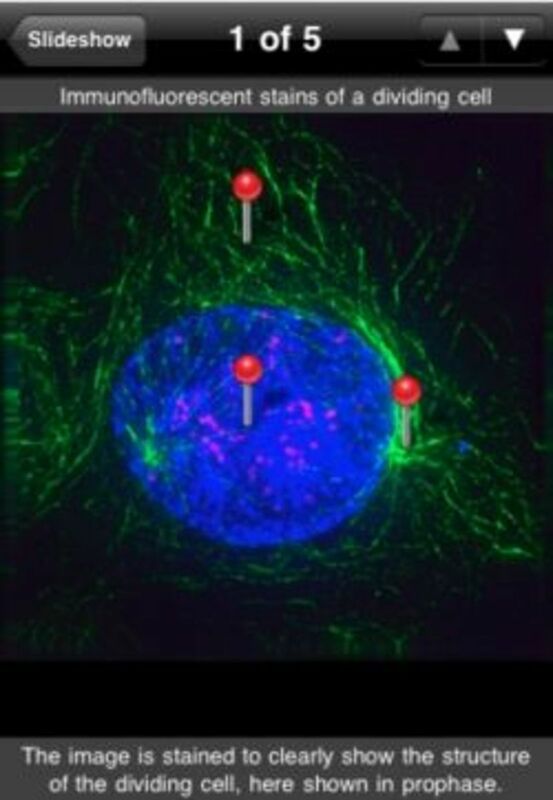 The Mitosis app gives you a guided tour of the process of cell division, explaining each step. It includes images of actual cells dividing under a microscope where you get to see the what the simulated structures look like in real life. There is some video content available with a wifi connection, as well text-accompanied audio explanations. 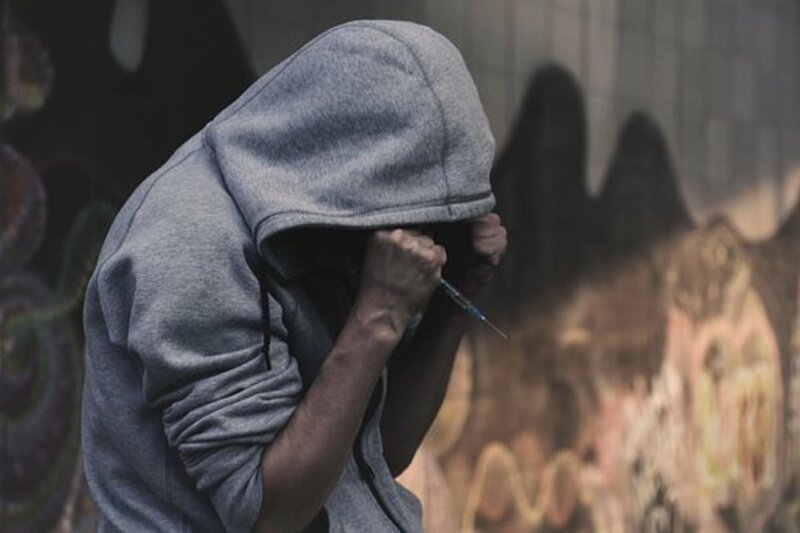 At the end, you can take an interactive quiz to check your understanding of the process. Great for middle school, high school and college biology students. iCell gives a 3D view inside a cell. There are examples of animal, plant, and bacteria cells. 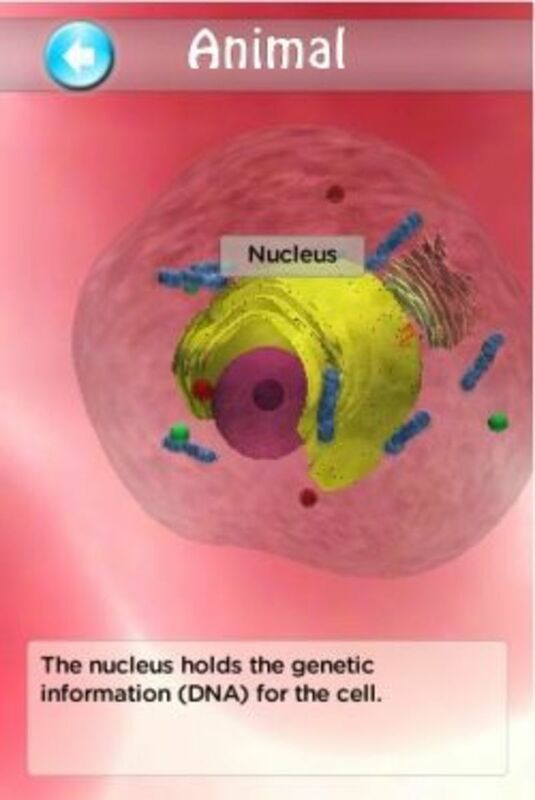 Learn about the various parts of the cell, and use touch technology to zoom in on the cell or a particular organelle and rotate it to see it from all angles. Organelles are labeled with a name and short description of its function in the cell. 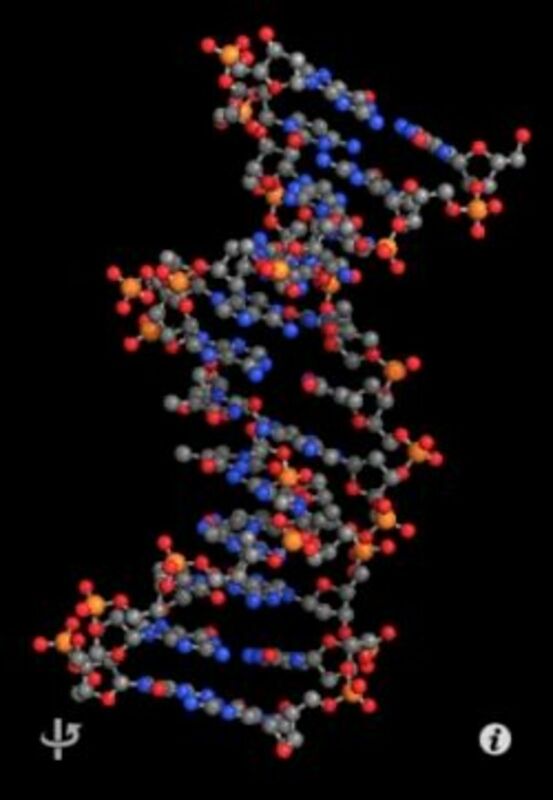 Another great app for biology students. 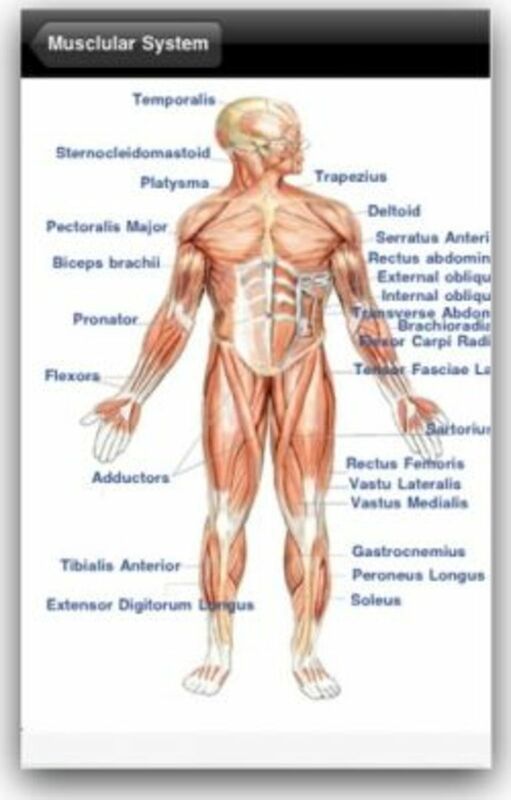 Learn the basics of major body systems with the Human Body app. Labeled diagrams display the skeletal, muscular, digestive, nervous, endocrine and reproductive systems as a study tool and reference. Tap on a body part to learn more about it's function. Then go to the quiz section to label body parts. 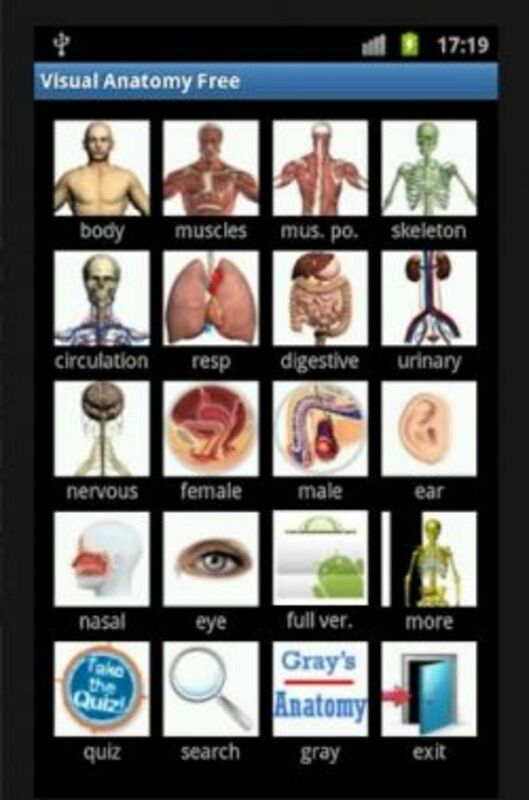 With features similar to the Human Anatomy app described above, Visual Anatomy Free provides information on the body region, muscular system (anterior and posterior), skeletal system, circulation system, respiratory system, digestive system, urinary system, nervous system, female reproductive system, ear structure, nasal cavity, and eye. It also has a quizzing function. Learn your elements, chemical properties, and reactions. 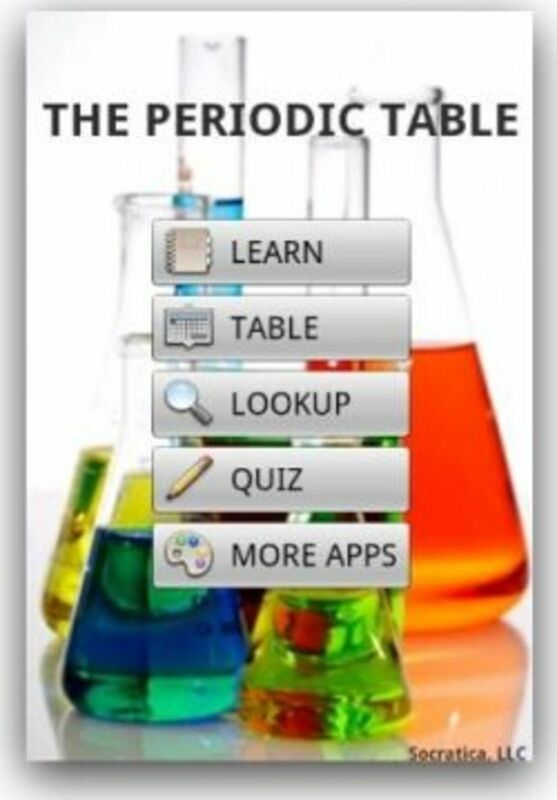 With the Periodic Table app, students can use as a reference and to study the elements. 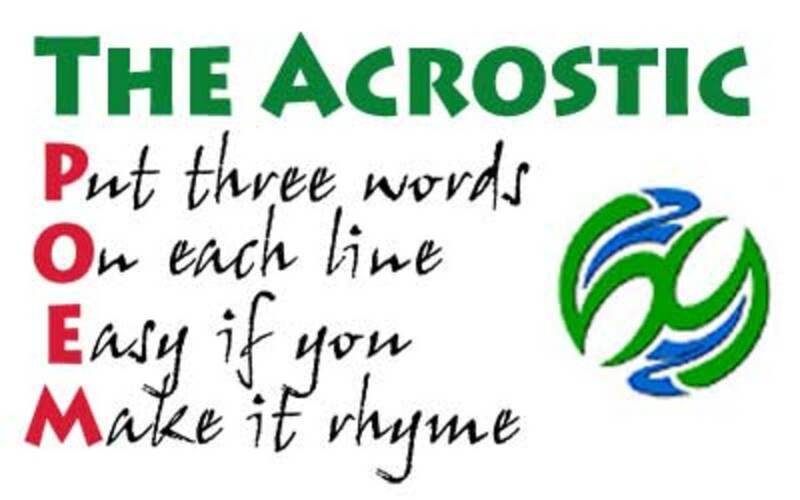 There is a pronunciation feature for each element that students find especially useful. * In Learn mode, a random element appears for you to study, displaying its properties and a link to its Wikipedia entry. * In Table mode, you can view the entire table and click on element groups. Works in portrait and landscape modes. * In Lookup mode, type in the element name to get info on its properties and the Wikipedia link. * In Quiz mode, select from four types of quizzes - name, abbreviation, atomic number, and random. * In More Apps mode, you'll see other apps offered by Socratica. 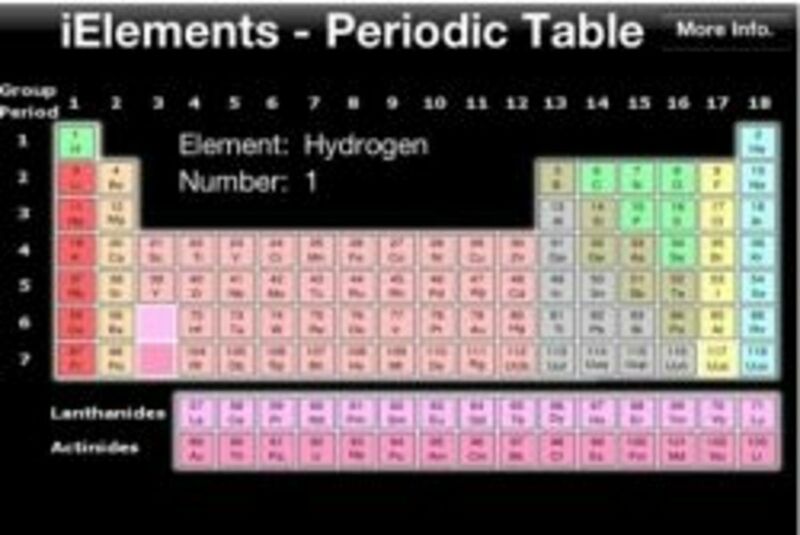 iElements is a color-grouped periodic table of elements that is a useful reference for chemistry students. There are descriptions and illustrations for each element that include more than two dozen properties including: Group and standard atomic weight, Electron weight, Phase, Density, Melting and Boiling points, Oxidation states. and Crystal structure among many others. The Molecules app gives kids and students a 3-D view of molecules they can manipulate with their fingers. View them in ball-and-stick or space-filling modes. You can download new molecules from the RCSB Protein Data Bank, for biological molecules and their 3-D structures, or NCBI's PubChem, a public database of compounds. Who knew there's organic chemistry nerd humor? 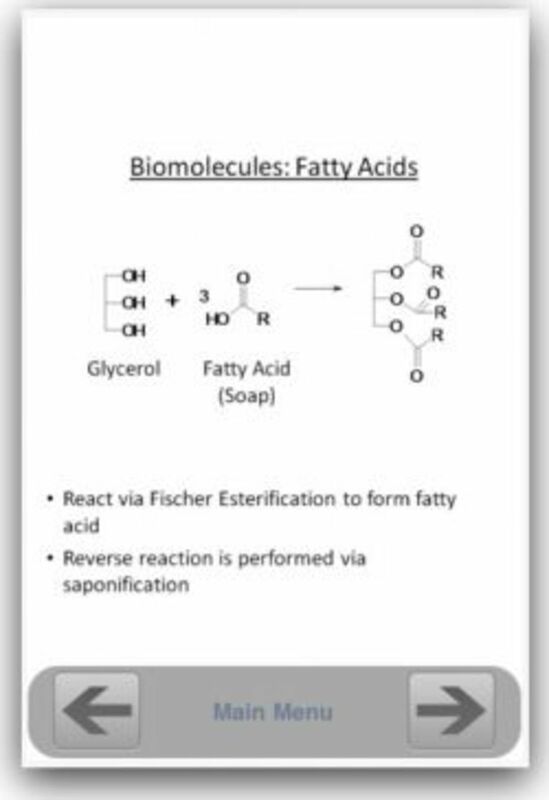 The Organic Chemistry Essential app will give you a healthy dose along with reagents, synthetic strategy, organic reactions, AND trick reactions. Learn about and record your observations of rocks, minerals, seismic events, formations, and weather phenomena. 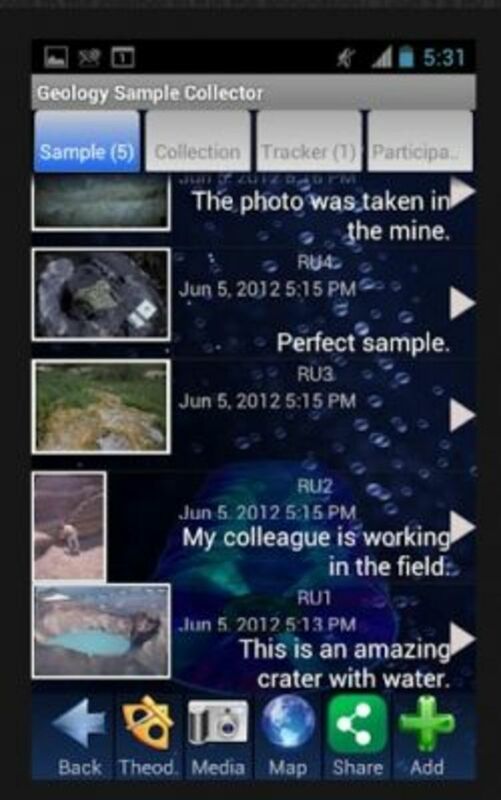 Document your work while you're in the field with the Geology Sample Collector. Use GPS to track and document your samples, including images, video, audio recordings, and text. Then share your work, upload it to a classroom website, then create reports that include the maps and data. Students can even automatically create a presentation or video of the sampling. The app also has a strike and dip tool to allow you to measure planar and linear features. 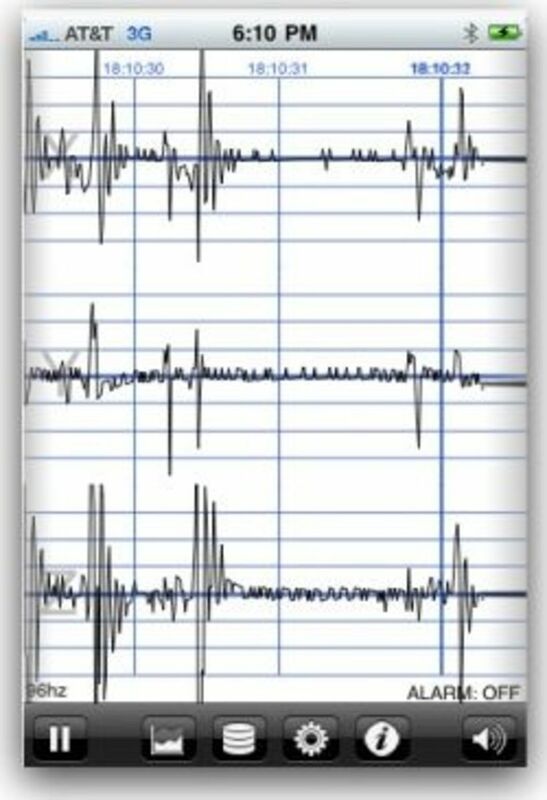 The iSeismometer app for iPad, iPhone and iSeismometer app for Android are useful apps for classroom demonstrations and experiments in geology. It records 10 seconds of seismic data. Learn and apply the principles of physics. 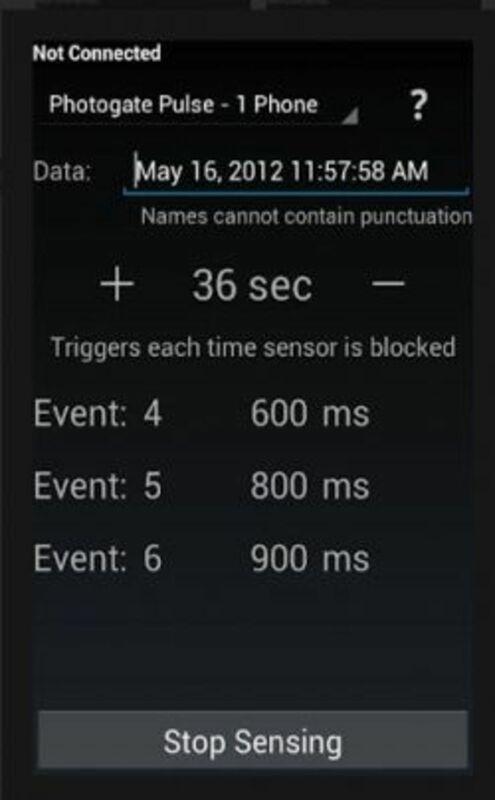 Turn your Android phone into a sensor for science experiments. Physics Gizmo collects for a variety of sensors. You select the sensor and set the timer start collecting data. Then upload it for analysis later. 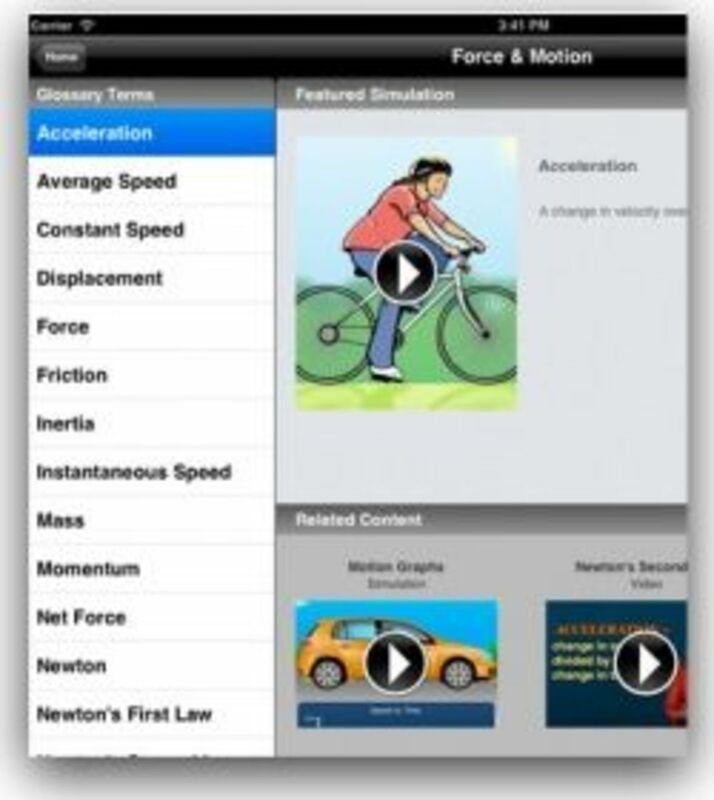 The PhysicalSci app is an interactive glossary of physical science terms that features brief animations to illustrate concepts. It is targeted to middle and high school science students, grades 6-12. 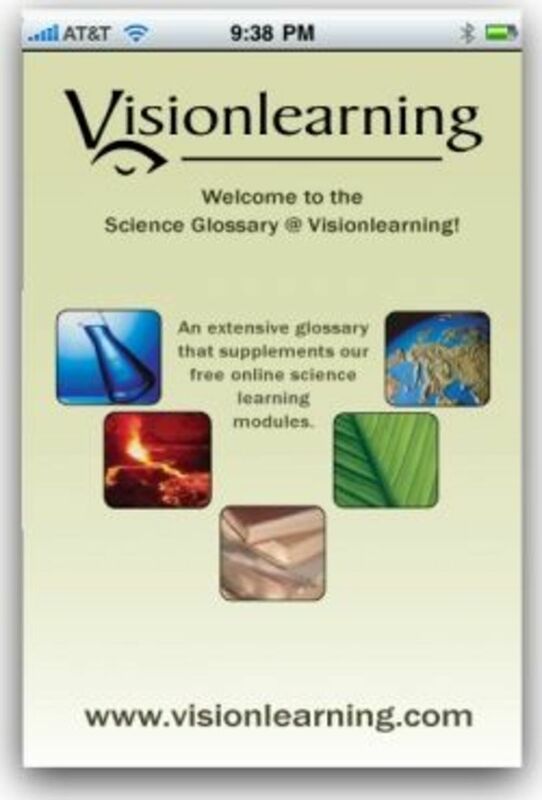 The glossary of scientific terms and short biographies in the Science Glossary app is supported by the Visionlearning website. Each definition links to related terms and to free, detailed science learning modules. Students in grades 6-12, as well as undergraduate students, will find this app particularly useful. 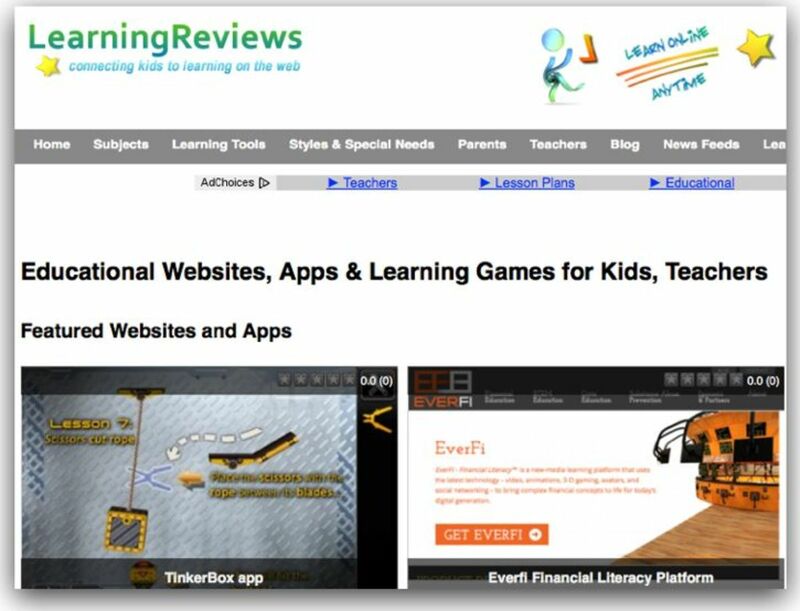 LearningReviews Science directory of science websites and apps lists more than 550 free websites, games, interactives and apps in all of the sciences for K-12 students. Have you used any science apps? Thank you for influencing so many readers with your great information. Your lens has sparked a lot of thought for me.